SEO is a vital concept which has been around the world of internet for years; and now the buzz is all about should SEO be taught at the academies. Few of the universities have already incorporated SEO into their curricula. Most of them have a strong opinion that SEO must be the significant part of formal education. But, as per one of the articles posted on the this site, it says that SEO must not be included in the curricula. As per AleksejHeinze, who teaches SEO in U.K and my opinion (I teach about SEO in Argentina) we strongly believe that SEO must be taught as a subject in higher education. How incorporating SEO in Universities can benefit the industry? Here we will discuss about the industry problem and the fact on how SEO in universities might resolve the problem. Today’s student is certainly tomorrow’s prospective client. Thus, students who study SEO formally are probable to have a great understanding of its concepts and benefits and in turn would be capable to sell it more efficiently to the clients. Long sales cycles is one of the difficult industry problems, and selling SEO is a much about educating your prospective client which can be possible only if you are strong enough in SEO. Lack of credibility is yet another problem. Most SEOs learned SEO through reading great articles or books or on the job. However, only some formal institutions recognize it as a valid marketing technique. Moreover, SEO is not taught in most of the marketing related programs. But, by creating an effective educational standard for SEO will surely increase the credibility of the niche. Clients who are not gratified with the services or had bad experiences will not trust SEO companies. But, by showing your clients that you are a certified person and have all the essential SEO skills can make them to trust in you. As there is a great demand for SEO skills, it is better to include in universities as this can aid one to learn the needed skills and have a great career in SEO industry. 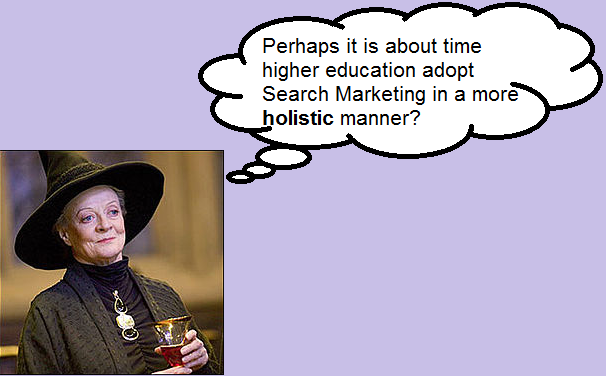 How SEO must be included in higher education? The following lists the degree in which the SEO can be included and concepts of SEO to be covered. Master of business administration (MBA)– SEO can be incorporated as a subject in this degree and the concepts such as how to utilize SEO as an effective business strategy for sustainability of business on a long term basis can be taught. Advertising– How to utilize SEO with both the viral marketing and inbound marketing, advertising technique can be incorporated. Computer science or Web design– Designing techniques for search engines must be taught. SEO is a vital part of web design. Journalism– Writing great quality text for online readability as well as scan ability. These are some of the courses in which SEO can be included, other than these it can even be incorporated in Marketing, public relations and several other courses. SEO is a very vast field and is the pillar of websites. So, if it taught in universities then every one can easily understand the way results are displayed on the internet. With SEO being taught, every one will be aware whether any SEO Company is genuine or fraudster. Well, if you lack in SEO knowledge then Platinum SEO renders the best SEO packages in Adelaide which can be utilized to get your SEO oriented business strategy developed.